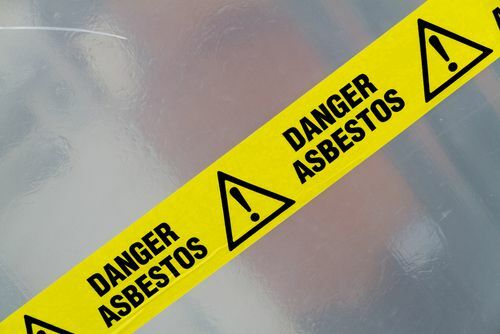 When people think of asbestos, they may not be too concerned since many believe it was banned in the late 1970’s due to the dangers of its fibers being released into the air and causing people to suffer life-threatening illnesses. However, asbestos was not in fact banned completely, and is still in older products like drywall and insulation manufactured before the limitations were put in place. As a result, many workers—some younger ones—are being exposed to dangerous levels of asbestos without realizing the dangers they face. Construction worker. Construction workers can be exposed to asbestos through the thousands of construction materials that were once used and are still in older buildings and homes as well as in the products—like roofing and flooring—that still contain asbestos. They are at an even greater risk when they are involved in the demolition of a commercial building or home or home remodeling. Firefighter. In a fire, products made with asbestos can quickly become damaged, allowing the asbestos fibers to become airborne and endanger firefighters. In addition, firefighters’ clothes, boots, and helmets were made using asbestos. Industrial worker. These include mechanics, foremen, trade laborers, factory workers, chemical workers, and machinery operators. One of the biggest risks of asbestos exposure is industrial insulators, although asbestos paper, textiles, gaskets, insulation, and fireproofing also pose dangers. Power plant worker. Cutting old asbestos pipes is the biggest danger power plant workers face of asbestos exposure. In addition, fireproofing spray and pipe insulation were also common sources of this toxic substance. Shipyard worker. Shipyards are full of asbestos dangers, with boiler workers and those working in construction, demolition, and vessel repairs being at highest risk of exposure. If you developed an asbestos-related disease from exposure at work, you need an experienced workers’ compensation attorney to help you obtain the compensation you’ll need for your expensive medical treatments and lost wages. Check out my Case Results and then start an online chat today to schedule a free consultation.